In a move towards making the Nucleus Vision ecosystem network agnostic, we are delighted to announce the launch of the much-awaited 4G enabled ION sensors. 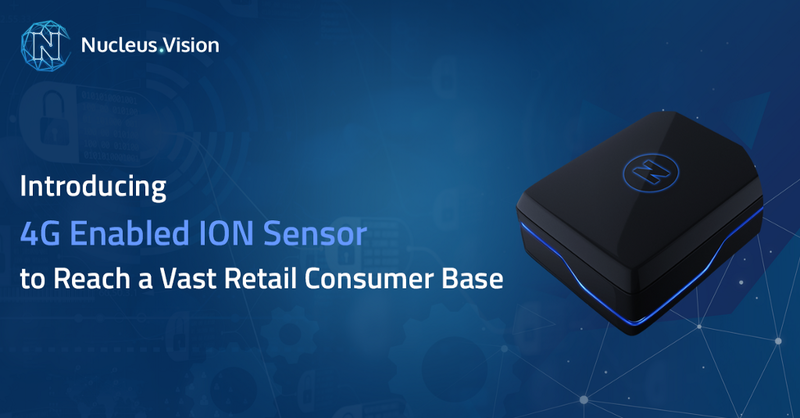 Being capable of detecting store visitors that are using 4G mobile networks, along with the ones that are on 3G & 2G, the new sensors will bring in more people into the ION sensor’s coverage. The Mobile Economy 2018 report by GSMA projects that the number of global 4G connections will increase from 29% in 2017 to 53% in 2025. Evidently, the 4G enabled sensors will enable our retail partners to serve a vast customer base better with more faster and accurate insights into the shoppers. Our new 4G sensor comes with ten times faster performance, which has been achieved with increased spectrum efficiency. The 4G enabled sensors use an IoT-friendly LTE module that runs on lower power, extending the battery life by up to 10 years, and greatly reduces maintenance cost. To serve our retail partners better and quicker, we also have created a remote management server, which allows us to configure, monitor, and troubleshoot the sensors remotely and increase the uptime. With consistent efforts and learning, we have created a robust and secure data sharing network that could bridge the gap between offline and online retail worlds. The true potential of our proprietary technology solution was realized when our pilot projects with leading Indian retail brands resulted in 2.4 times more in-store conversions. The new technology upgrade to our ION Sensor only adds to it!